for Total Expenditures (35% of “exempts” above state av. )See note. b) Some “Exempted” districts spent more in ‘07-8 than many of the “Non- complying” towns that now face financial penalties. 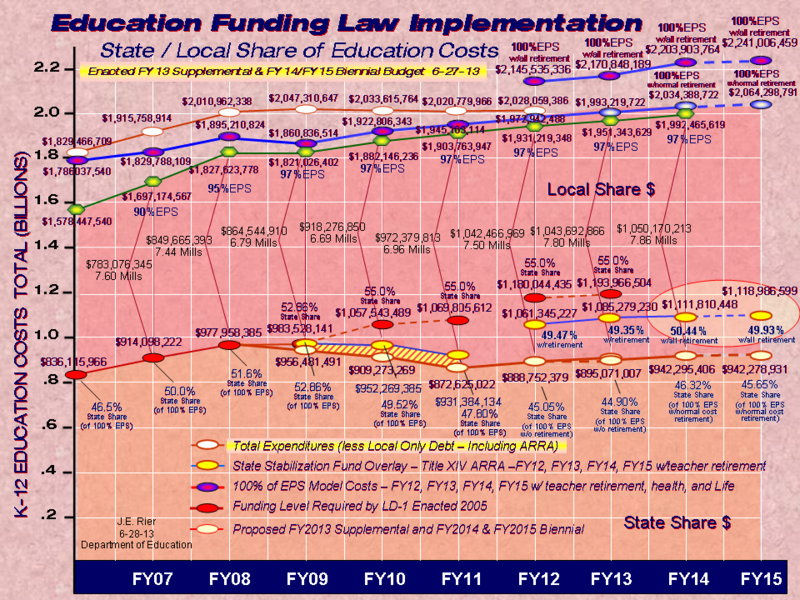 (39% of “non- complying” units spent less per pupil than the average “exempt” district) See note. c) The “Exempted” districts, on average, spent more per pupil in ’07-8 than did the districts that voted to reorganize into RSUs. In other words, many towns and districts were not required to reorganize despite facts showing that they were less efficient than many districts that were required to reorganize. On the basis of efficiency, it is indefensible to penalize “Non-complying” Maine towns and reward “Exempted” units. Most non-complying districts studied the benefits and drawbacks of reorganization and concluded that the drawbacks outweighed the benefits. By contrast, the Maine Department of Education presented no data to justify why these towns and districts should reorganize. In fact, some of these units are more efficient than “Exempt” units and than many units forming AOSs. In other words, an informed decision, made by citizens who know their schools and know their finances, is a more defensible decision than an uninformed policy. Purely on the basis of sound decision-making, it is indefensible to penalize “Non-complying” Maine towns. 3. ALL TOLD, VERY FEW TOWNS AND DISTRICTS CHOSE TO REORGANIZE; THE BENEFITS ARE SIMPLY NOT THERE. Only 20 School District offices were closed by reorganization (accounting for only 16.4 full-time school superintendents). In only 4 cases did three or more central offices consolidate. Projected savings, after the new expenses of reorganization, were $1.6 million annually for three years (compared to the $36 million State target). In other words, the Reorganization Law missed its target by a wide margin. Penalizing towns and districts for NOT agreeing to a law that shows few benefits makes no sense whatsoever. Purely on the basis of effectiveness, it is indefensible to penalize “Non-complying” Maine towns. 4. MAINE TOWNS AND CITIES ARE FACING SEVERE FINANCIAL SHORTFALLS; THEY DON’T NEED ONE MORE COST, PARTICULARLY WHEN IT MAKES NO SENSE. 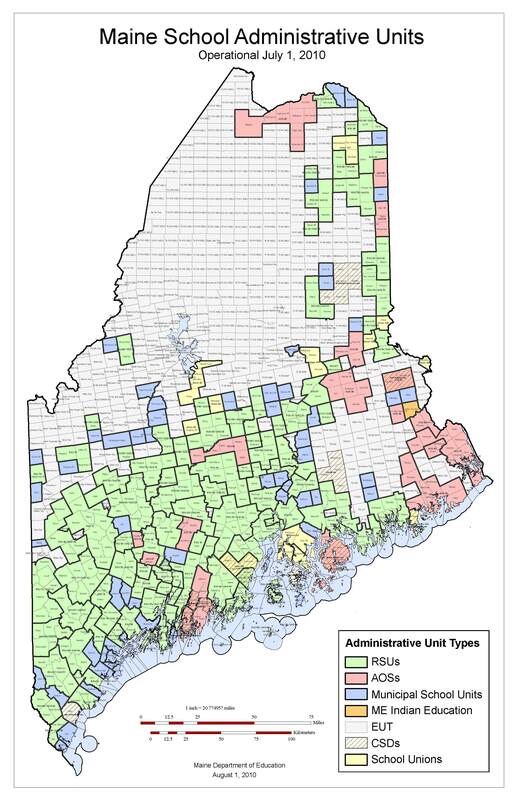 Most non-complying Maine towns and districts are in the poorer, more rural regions of the state. In these districts, an already small tax base is now rapidly shrinking. The state has now failed to meet its obligation to help fund Maine schools for five years running. Why rob the poor to pay for reorganizing the wealthy? In other words, to penalize non-complying districts is to sucker-punch Maine citizens who are already on their knees. Purely on the basis of affordability and common sense, it is indefensible to penalize “Non- complying” Maine towns.